So, you think LinkedIn Groups are a waste of time? Chances are, if you’re simply “hanging out” here and there, you’re right. But like any networking effort — whether it be an in-person event, trade show or online forum — you’ll only get out what you put in. And, forget the shortcuts. There are no magical, cookie-cutter formulas that will rake in millions from the network. LinkedIn is powerful — but, requires real work. When it comes to professional networking, lead generation and lead nurturing, LinkedIn is simply unrivaled. 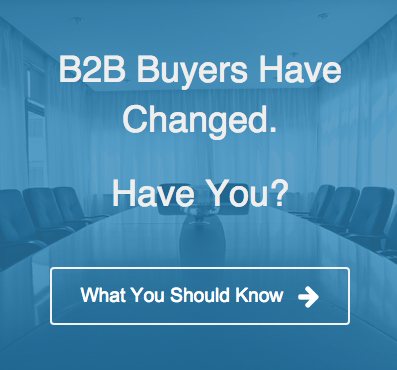 LinkedIn’s value is especially evident for industry thought leaders and B2Bs aiming to make quality connections that specifically need their “niche” product or service. If you’re unclear about your sales plan and networking strategy, LinkedIn will only go so far. If you’re looking for quickie meetups and fast cash, forget it. However, if you’re serious about finding leads the old-fashioned way — by actually going out there and meeting people — LinkedIn Groups is a powerful tool. According to a recent MarketingProfs study, those LinkedIn visitors coming from LinkedIn Groups account for the biggest percentage of business leads (measured via web forms) overall (~57.0%), followed by individual LinkedIn profiles (11.5%) and LinkedIn company profiles (9.2%). Nearly one-half (45%) of all leads to websites arriving from LinkedIn are first-time visitors. That level is higher for those arriving via “groups” (63.2%). 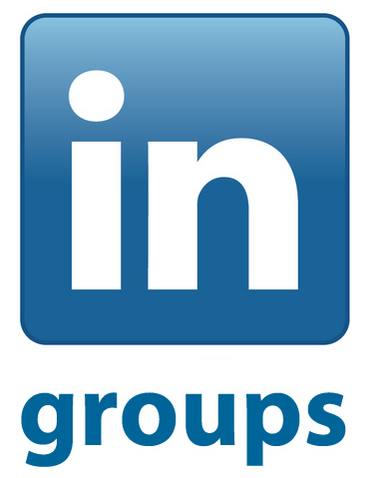 So how can you maximize the power of LinkedIn Groups without making it a second job? If you’ve ever joined a worthless LinkedIn group, you know the drill. Spam, self-promotion, irrelevant posts…yada…yada. Here’s the good news: There are LinkedIn Groups that are flourishing, valuable, active and downright awesome. But, only the smart LinkedIn members know how to sort out the riff raff. The most common mistake we see clients make is joining groups without taking a close look at their value. It used to be that you could only “sniff out” a group’s value by lurking and hanging out for a while. Not so anymore! Late last year, LinkedIn released the Groups Statistics dashboard for each group. LinkedIn Groups Statistics remains one of the most underutilized tools — yet it can quickly make your time on LinkedIn more productive. Using the dashboard, you can look up the demographics and growth of each group. Better yet, you can also find out the quality of the networking and discussions. Say “Sayonara” to the spam and “Hello” to the helpful! 2. Go to More…> Group Statistics. 3. Now, click on the “Activity” tab. Is this group worth your time? I think not. The group below consists of a lot of people who like to start discussions. But no one is actually committed posting comments or responses. Looks like a bunch of posters but no participants. Hmmm…only if you like watching paint dry. Where is everyone? Unless this is a group that just started, don’t waste your time. A good balance of discussions and comments. Get in there and start rubbing elbows! Okay, you’ve found your good groups and your time-sink groups. Don’t be shy about dropping those time sinks in a heartbeat. Your time is valuable. By leaving worthless groups, you claim back precious time that you could spend with quality groups that respect your time and energy. 1. Click the More tab in the row under the group name and select Your Settings. 2. Scroll down to the bottom of the page and click the “Leave Group” button. Have you found your LinkedIn Groups activity to be productive or a waste? Have you tried vetting your groups using the dashboard? Deana Goldasich, CEO and founder of Well Planned Web, plans and implements Content Marketing to help clients nurture leads, market their expertise and create an impactful presence online. Thanks Deana. I think it’s time for me to cull some of the groups that I either never visit or see low activity in. Great post! We train clients on this constantly, but I realized I’ve been long overdue to do some Groups housecleaning of my own. Enjoy narrowing your list. Let me know if you discover anything interesting or worth sharing in the process! Yes I agree, great article. Forum posting in your niche is a great way to develop relationships and to get targeted traffic to your site/offer/affiliate link. Great info, nicely written with good graphics to boot. Thanks Deana. What do you think about seeing the groups with an unbalanced posts to comments ratio as an opportunity? IOW, seed some comments and wait to see if the silent members take any action? Hi Nick! Thanks for stopping by. Certainly, the moderator *at the very least* should be seeding comments in quiet or new groups. That’s always good for getting relevant, healthy conversations and community started. The issue is more in the groups where people post and leave — never to interact with others. It becomes more of a bulletin board than a forum. Those are the groups worth weeding out. When recruiters’ disguising themselves as employers on Linked-In that is pretty frustrating and makes most people angry. There must be a better way to regulate where recruiters are allowed to post their promotions. Not in jobs section would be a goo START. allowed to post their promotions. 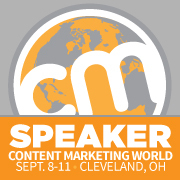 Ready to get serious about your company's content?